Of all the ways to charge your smartphone, you wouldn’t think petting it would be one. 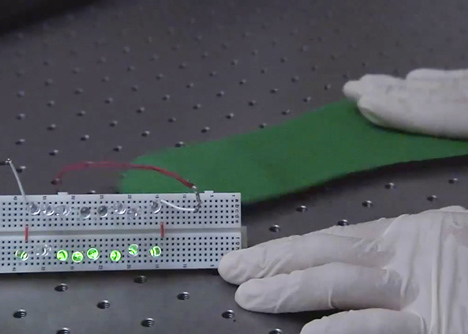 A team of researchers, however, has developed a way to use friction to give power to your dying phone. It’s simple, it’s inexpensive, and best of all, it would require hardly any effort at all on your part. The technology, developed by Zhong Lin Wang and his team at the Georgia Institute of Technology, works when a plastic called polyethylene terephthalate rubs against a layer of metal. It’s sort of like when you rub your socks across the carpet and then touch someone on the skin to shock them – except this time the phenomenon is being used for good rather than evil. When the two materials are rubbed against one another, they create friction which in turn creates a current that can be harnessed to charge a phone’s battery. Microscopic structures were added to the materials to give them much more surface area and thus create more friction. 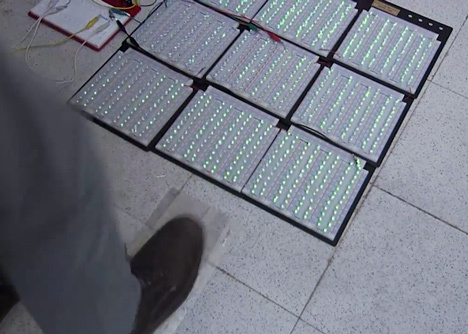 In the study, the nanogenerator had a power output density of 300 Watts per square meter, which is enough to light 1000 LED bulbs simply by stamping one foot. The principle known as triboelectricity is the basis of the technology, where a charge, similar to static electricity, is produced when two materials are rubbed together – but this doesn’t have to take place in an obvious outward manner. Motions besides stroking or rubbing such as pressing, tapping, swiping, or even the simple bouncing of the phone in your pocket as you walk could charge it. 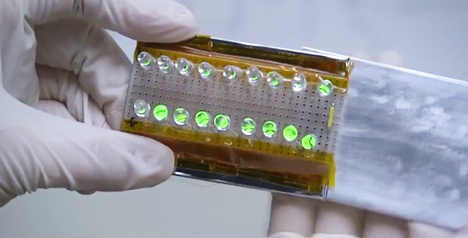 The team hopes will eventually have more broad applications in the alternative energy world, particularly in powering implanted medical devices such as pacemakers. See more in Energy & Power or under Science. March, 2014.